Paris’ bid for the 2024 Olympic and Paralympic Games Friday welcomed an announcement by the City of Paris that it has identified nine potential sites to bring public swimming back to the River Seine boosting its campaign to host the Games. Paris plans to get swimmers back into the River Seine that runs through the city and could be a key Olympic venue. The return of swimming to the Seine in central Paris is reportedly an important environmental legacy project of the Paris bid and the work to clean up the river has already begun. The findings were revealed in a feasibility study commissioned by Paris Mayor Anne Hidalgo and undertaken by town planning group I’Atelier parisien d’urbanisme (APUR) revealing nine areas along the Seine in Paris, that could host public swimming, several of which border proposed Paris 2024 venues. In the coming months the city will continue to work towards defining these swimming sites with approved locations to be confirmed by the end of the mayor’s current term. According to Paris 2024, the Seine also forms a central part of the Paris 2024’s compact, city-centre inspired Games concept with both the Olympic and Paralympic triathlon swimming segment and the Olympic open water swimming event taking place in the Seine, along with several other sporting events occurring alongside it. It also highlights Paris 2024’s commitment to creating a truly sustainable Games with a strong environmental legacy that Paris 2024 says can be shared with the people of Paris and the millions of visitors to the city each year. 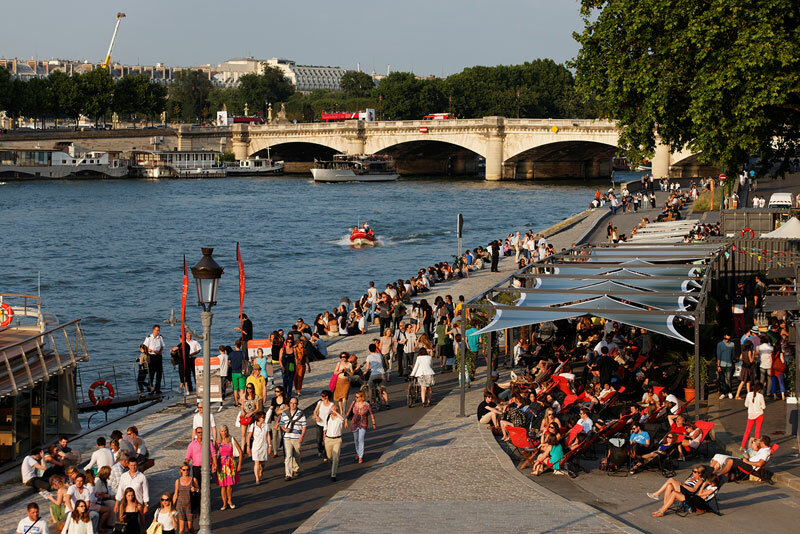 Paris 2024 will celebrate the river’s significance to the City of Paris and its residents this summer and the important role it will play as part of Paris 2024’s proposed Games plan by staging a series of special events at the 2017 Paris Plages Festival, an annual event which takes place along the banks of the Seine each summer. The organization of the Rio 2016 Olympic Games last year was marred in controversy when promises to clean up the polluted waterways went unfulfilled and rowers were faced with competing in an unhealthy environment. The dumping of garbage and raw sewage into the water also impacted other open water events when the city wasn’t able to deliver sewage treatment plants that were promised during the bid. “I believe that sport can be a real tool to transform the city of Paris, and the Olympic and Paralympic bid is already doing this. We want to build on the excitement of the bid and start getting more Parisians active again. “The Games will bring competitive swimming to the Seine once again, something that is sure to inspire the next generation in our country. I want to work closely with the team to prove the tremendous power sport can have in our society”. Paris is bidding with Budapest and Los Angeles for the 2024 Olympics. The host city will be elected by the International Olympic Committee (IOC) September 13 in Lima, Peru.